Moving OSCON to San Jose at the south end of the San Francisco Bay Area allowed many local IT professionals to attend the conference without traveling. But the current daunting economic climate with an unusually high unemployment rate prevented many potential attendees from spending US$ 2000 for the five-day-long series of tutorials and presentations. Recently, open-source projects have moved to narrowly focused, low-budget, grassroots conferences, which would explain the relatively low turnout of high-profile community leaders this year at OSCON. Tim O'Reilly's traditional conference intro, The O'Reilly Radar, revolved around US president Obama's new "open government" directive. O'Reilly pointed out that the data.gov website contains a boatload of freely available, politically relevant data that is waiting to be fed into useful applications developed by the open source community. Apps for America 2  is a program to accomplish that. O'Reilly made clear, though, that "Gov2.0" won't operate like a vending machine that runs on taxes and spits out sensible politics, but needs hands-on help by the people, and the open source community in particular. 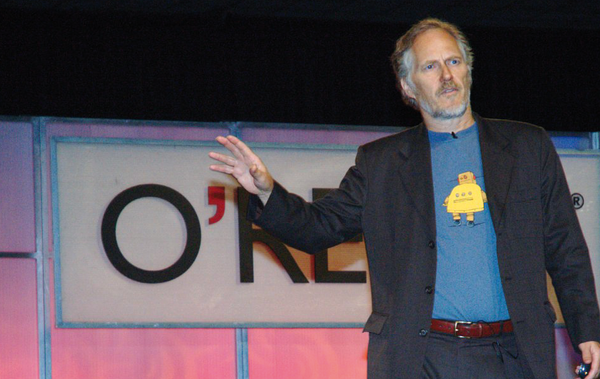 Figure 1: Tim O'Reilly gives the keynote. 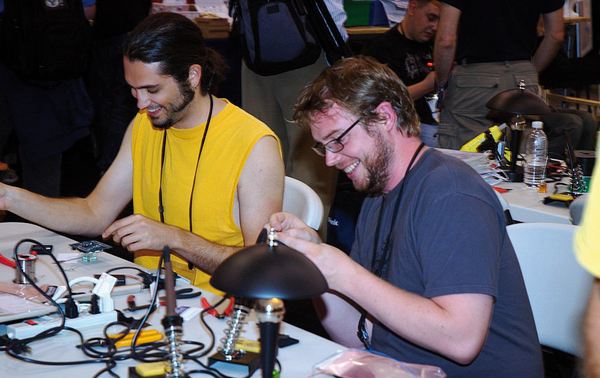 Figure 2: Hands on at the Make Magazine booth. With up to 15 parallel tracks, OSCON presented talks on a wide variety of topics, ranging from acceptable to excellent quality. With options such as legal advice on copyright or licensing issues, tutorials on a plethora of old and new Unix tools and web technology, databases, programming tips, or success stories from the trenches of the industry, finding a talk of interest was easy. In his talk, file system guru Ted T'so reported on the future of file systems and that solid state disc (SSD) technology will only slowly replace traditional hard drives. Limited profit margins and high development costs for the next generation of SSDs simply don't make direly needed higher-capacity drives profitable enough. Github founder Chris Wanstrath shared the story of how to found a startup company with next to no money and with only private investments. With its eight employees, Github is allegedly doing well despite the current economic climate. The advantage of not using venture capital money is that the founders are free to make decisions without having to get approval. Chris DiBona revealed web-wide open source statistics, found by Google's crawlers: There are 30 million unique files with open source code on the Net, totaling 2.5 billion lines of code. FIfty percent are under some form of GPL license, 20 percent on LGPL with decreasing influence, 13 percent under a BSD license, and 7 percent are covered by the Apache license. Surprisingly, within the GPL segment, GPLv3's influence is already at 45 percent. This year's Google Open Source awards went to Brian Aker for MySQL and Drizzle, Bruce Momjian for his work on PostgreSQL, Clay Johnson as a community builder on the Sunlight Labs project, Evan Prodromou as best social networking hacker for identi.ca and Laconica, and Penny Leach for educational work on Mahara and Moodle. The lower visitor numbers had a pleasurable side effect, too: Lunch, has always been financed by external sponsors at OSCON and because there were fewer hungry attendees, box-lunch sandwiches were replaced by an excellent gourmet buffet featuring lox and asparagus. O'Reilly's annual OSCON event attracted a range of open source enthusiasts who were treated to impressive keynotes, a range of "lightening talks," and plenty of in-depth technical sessions.